A very needed and welcomed organic grocery and produce store is now open in Crestline, the Natural Median Organics & Fair Trade Store! Health conscious eaters will be both relieved and excited that organic produce and organic foods are now available in Crestline, just 2 minutes from Lake Gregory and 15 minutes from Lake Arrowhead. 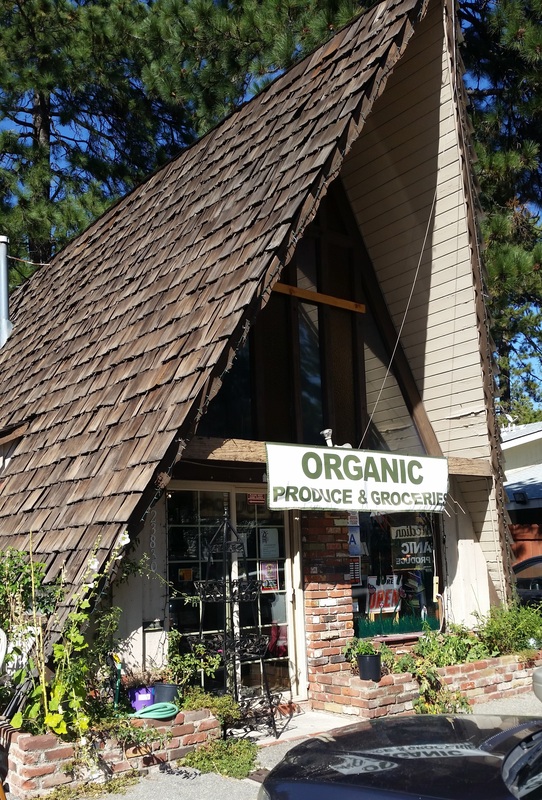 Located in a cute A-Frame building just 2 minutes from Lake Gregory, this organic food store fills a missing gap in the area with its healthy food offerings. Those health nuts among you who have been renting cabins in the mountains for a while have probably just gotten used to either stopping at Whole Foods before you head up the mountain, or just suffer through the week with non-organic convention produce from the local grocery stores. Not any more! From the moment you walk in the front door, you’ll know this isn’t some corporate run chain, rather, a store run by a local resident and entrepreneur who was tired of driving down the hill to get his organic fruits and vegetables. By reading the Yelp reviews here you can clearly see what a welcomed addition to the community this store has become. 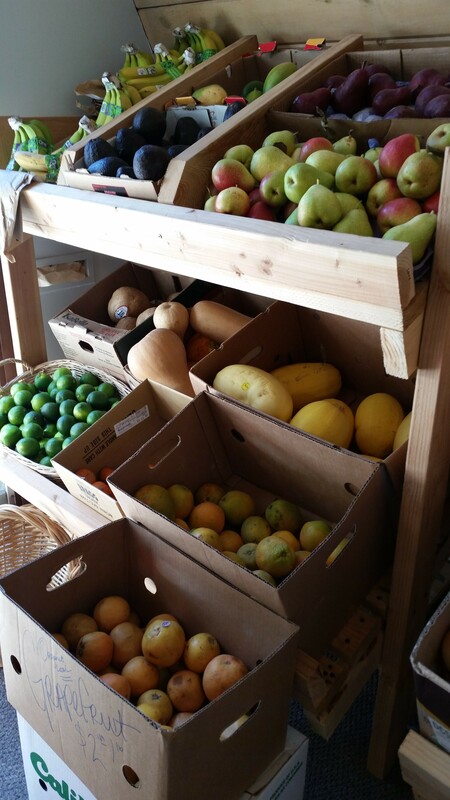 The classic wooden made shelves are filled with organic apples, pears, figs, butternut squash, and a variety of other fruits and vegetables that happen to be in season at the time. While some of the produce is branded from larger organic farms, most produce in the store is locally sourced from local small farms and organic food wholesalers. The organic free-range eggs travel a mear 15 minutes from mountain farms in the Crestline and Lake Arrowhead area, freshly delivered almost every day! When you need high quality lettuce to make a nice organic salad and healthy veggies and dried goods to make a great meal, this little store remarkably has everything you need. 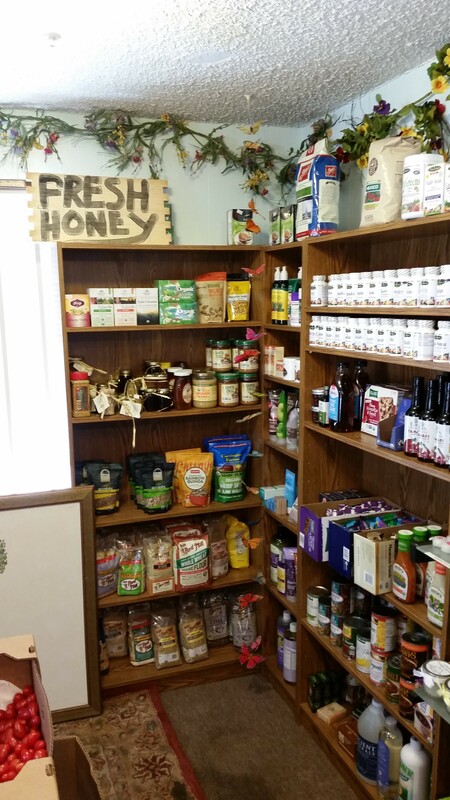 The shelves are thoughtfully filled with organic food essentials ranging from locally sourced fresh honey, Yogi teas, organic grains and legumes, and a range of natural supplements. 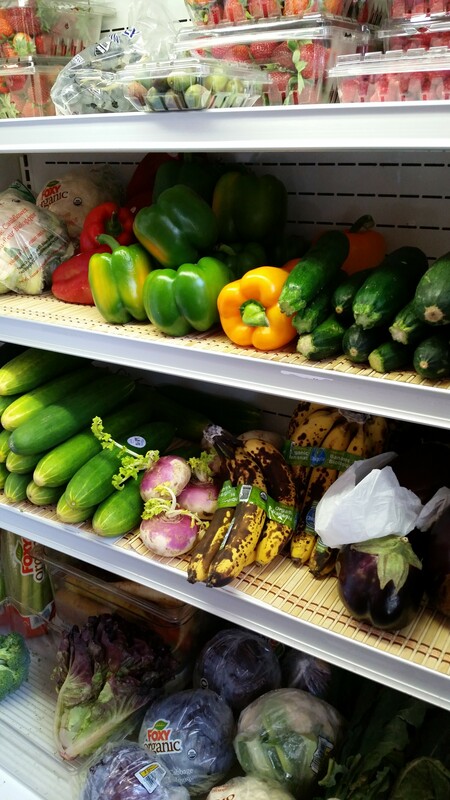 Every visit to this store will be unique, as the selection of available fresh organic produce changes based on availability, but you’ll always find something new and exciting as well as your regular favorite organic foods. While there are plenty of choices for regular groceries in Crestline and Lake Arrowhead, this is the one and only choice that exclusively offers non-gmo and organic groceries. So whether you are a full time mountain resident or loading up your rental cabin for the week, make sure to stop by at the Natural Median Organics & Fair Trade Store and BUY LOCAL!